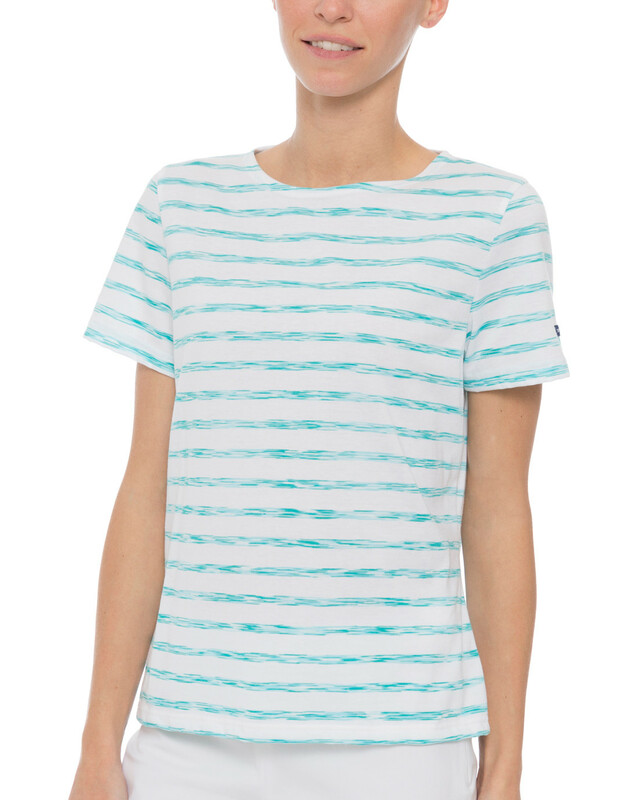 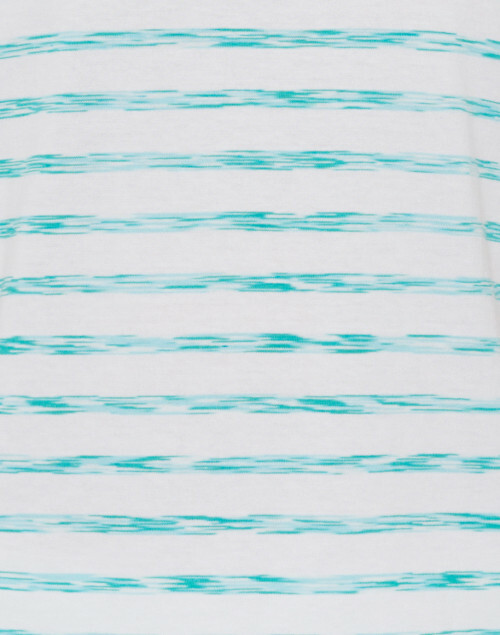 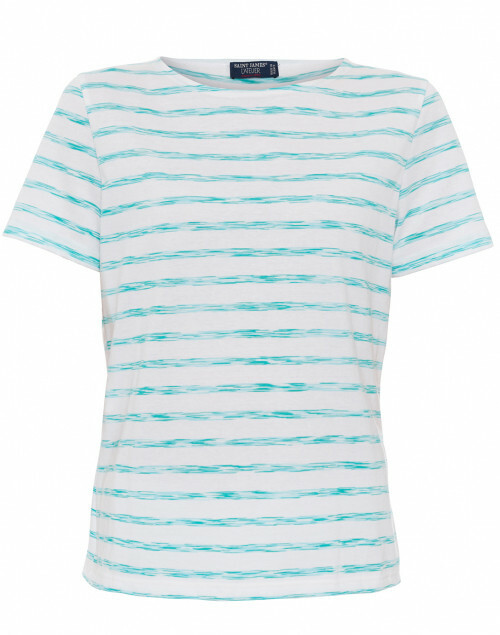 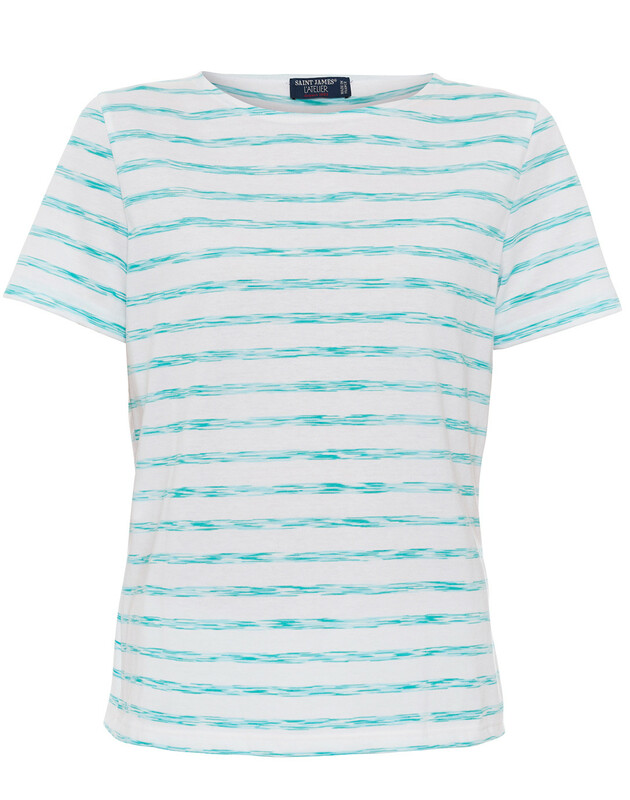 Saint James delivers wardrobe staples with enduring nautical appeal, such as this white cotton shirt with space dye aqua stripes. 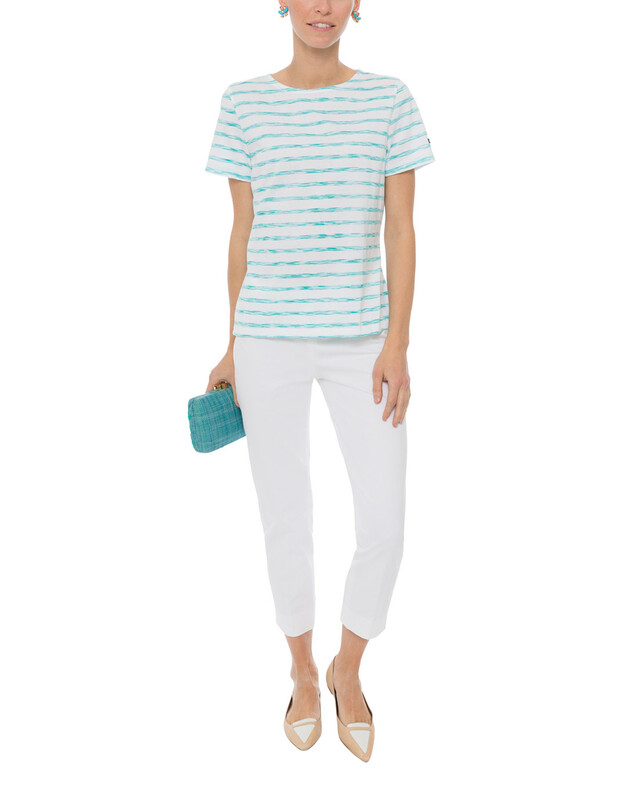 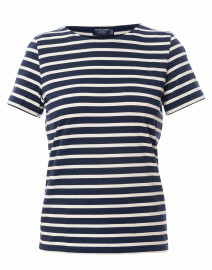 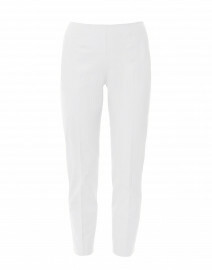 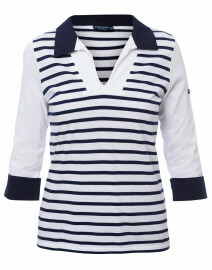 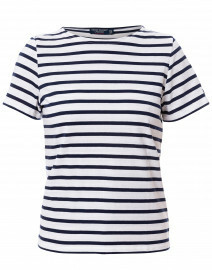 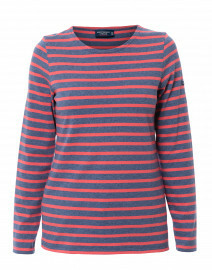 Expertly crafted in France, this style comes with a classic crew neckline and short sleeves. Consider it a stalwart piece for casual edits. 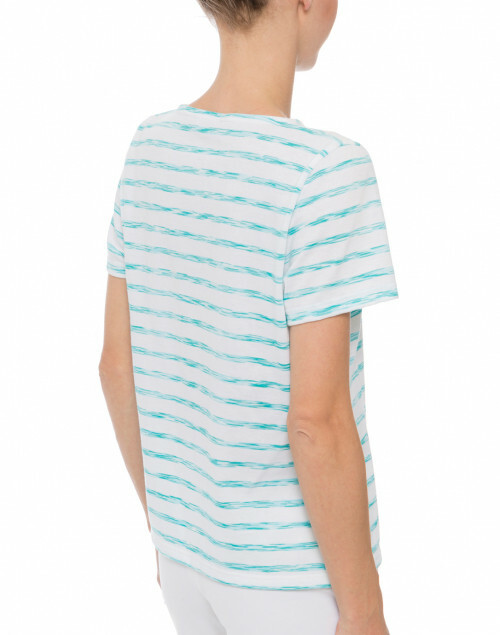 Length 23" 23" 23.5" 23.5" 23.5" 24" 24.5"
Shoulder Width 13.5" 14" 14.5" 15" 15.5" 16" 17"
Bust 35" 36" 37" 38" 40" 42" 44"
Waist 33" 34" 35" 36" 38" 40" 42"
Hip 35" 36" 38" 39" 41" 43" 45"
Sleeve Length 7.5" 7.5" 7.5" 8" 8" 9" 9"